First of All, Thanks to everyone for your continued support till now. BTNT has been running successfully since 18th Aug 2011, I can't make it this far without your support. When I started blogging and web designing I haven't thought I'll make it this far and even make a living through online by becoming a freelance web developer. But because of that I have neglected my blog too long and have been thinking for a while about the future of the BTNT. Thus coming to the conclusion of starting this two series. Today I'm going to share My thoughts on the Future of BTNT and What you can expect from it? Where is BTNT heading to? When I started BlogTipsNTricks, I wanted it to be a place for people to learn about blogging and make money through online. After few months of starting, For Personal use, I started to self-learn on how to design blogger themes and become successful. As time goes on I published those themes which gained great fame and readership for BTNT, Thus I continued publishing more Blogger themes and widgets. So, From Today On-wards BTNT's main niche will be blogger widgets and templates. Of-course Blogging tips and make money online tips will be published but the main topic and focus should be themes and widgets. 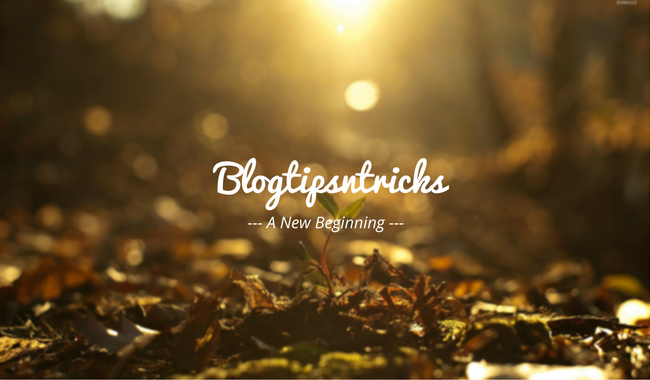 What you can expect from BlogTipsNTricks? I got quite a number of mails stating that wanting to add or remove a widget from one theme to another, For example like, how to add popular post widget from Ozura theme on BTNT theme. So, I plan to publish the theme and widgets separately. Each week you can expect brand new widget and theme hand coded by me. Blogger Widgets will be published on Wednesday while Blogger Templates will be published on Sunday on each week. Hope you guys love these new changes and continue your support. These changes will be effective from today, I'll publish a new widget within next few hours. Your suggestions are always welcome. Please comment your thoughts below. Also if you have a new widget/theme idea let me know. I'll pick one idea each week to design and publish it here. I'm a fan of you whork. If you whant desing theme ideas, just mail me. Its a hard work creat a "face", more than coding, sometimes. Thanks Felipe, Glad you like my works. I am really to know that you are back again. Cheers and wish you good luck. Can you please Create "Focus" blogger template from Genesis and Backlinko template and featured homepage email optin widget. Thanks for your suggestion, I've already stopped publishing converted themes on BTNT as it will bring some copyright issues in the future, but I can publish similar theme like Focus and Backlinko. Cool to focus on widgets and such. I do not go into tech as much but it always helps to explore functionality to better round out my blog. You have a treasure trove of knowledge in this area too. So since it feels fun to you, go for it! All the best with your new fun, inspired direction bro. Thanks bro, I'm glad to hear your wishes. All the best bro, Feel free to contact me if you run into any issues. As for making the blogger template responsive all you need to learn is two things, first one is to change all the width to fluid width and the second on to learn CSS3 media Queries. You did great themes. I'm so glad you refresh the style codes. I'm your followers.